Ready for a reindeer craft? 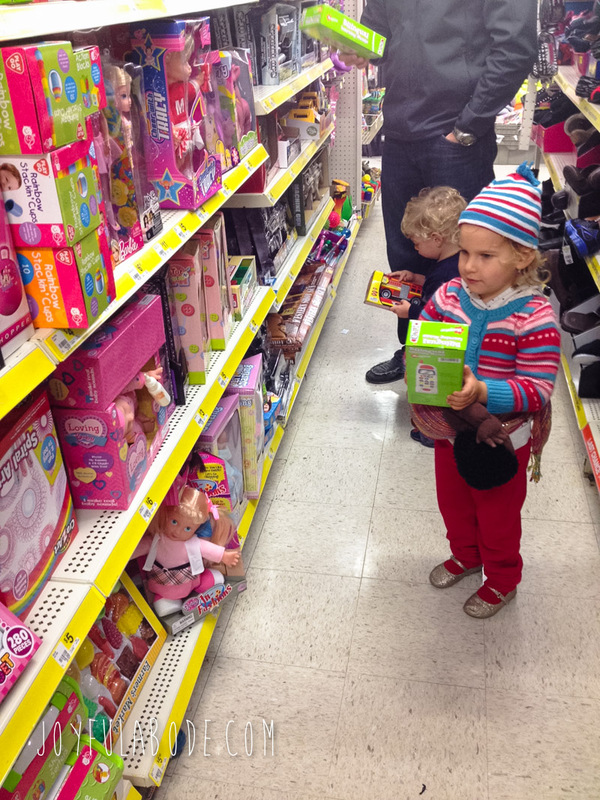 We headed to Dollar General for inspiration for a holiday craft, and of course the kids played with alllllll of the toys while we were there. And this is what we came home with. Goodies for making some gifts for Anneliese’s teachers, who we’re visiting again on Friday, their last day before the holidays. 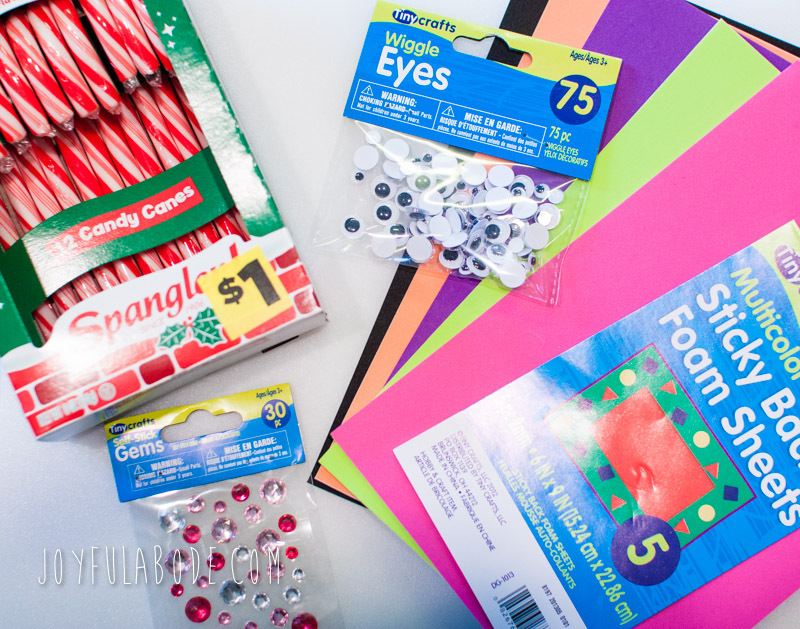 (These materials make enough for six reindeer, with extra foam, eyes, and gems. We were going to make some reindeer like these from the Family Fun magazine, but DG didn’t have anything brown! Felt, foam, or construction paper. So we decided to make colorful ones instead. And Anneliese LOVES the gem noses we found. The self-adhesive foam and self-adhesive gems made this a super simple (and clean) project. We only had to secure the eyes with a couple of dots of Elmer’s glue. Have an adult cut out the shapes shown, with the craft foam. Wrap hoofs around each candy cane. Secure the two candy canes together with the foam body, wrapping it around. Add the face, covering the bottom edges of the ears. Secure a gem for the nose. Gift to your favorite teacher, neighbor, or friend, or top a gift with it!